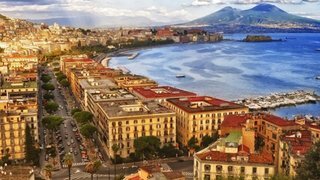 Using the latest 3D scanning technology, Alexander Armstrong and Dr Michael Scott uncover 2500 years of hidden history in the city of Naples. They explore how the ever-present volcano of Mount Vesuvius both nurtured the region and exacted a terrible price from those who benefited from living close by. They delve into a labyrinth of underground spaces that helped build and sustain the city. They also experience how this hotbed of volcanic activity is associated with the underworld from its earliest Greek and Roman origins; revealing a place where life and death and beauty and danger are never far apart. 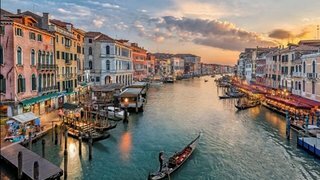 With the help of the latest 3D scanning technology, Alexander Armstrong and Dr Michael Scott explore the watery wonderland of Venice. They uncover how a city built in a swamp became one of the most powerful in Medieval Europe. They dive into its canals to experience how the city, constructed on mud, remains standing to this day. They then uncover how it became such a military and trading powerhouse and how its beauty once masked a ruthless secret state and a world of excess and vice - home to one of the greatest lovers and polymaths of all time, Casanova. 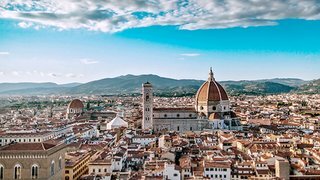 With the help of 3D scanning technology Alexander Armstrong and Dr Michael Scott explore the romantic city of Florence. They reveal how its wonderful facades and artworks mask a hidden story of intrigue and secrecy and how one powerful family - the Medicis, known as the Godfathers of the Renaissance, was behind it all. They uncover the secrets of one of the most spellbinding achievements of architecture - the dome of Florence's cathedral. And they build a 3D model to reveal just how much of the city masks secrets corridors of power that were the foundation of the city's Renaissance glory. Historian Dr. Michael Scott embarks on a new adventure to explore the hidden treasures of three of Italy's astonishing cities - Naples, Venice and Florence - bringing a fascinating new insight into 2,000 years of history.